By purchasing this listing you will have No color or style option choices. Items will be *Randomly Picked* and placed in the organza bag! Items are packaged together to save on shipping costs! 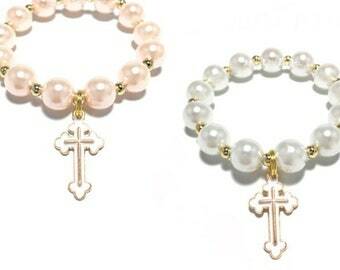 These are great for Birthday or Easter Basket Gifts!! 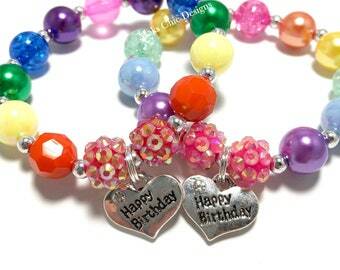 Includes (3) Randomly Picked Sparkle & Solid/Printed CHUNKY BRACELETS. 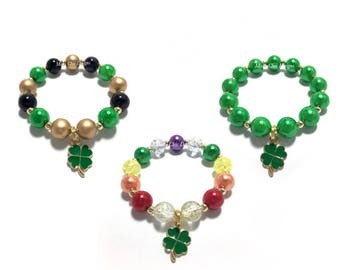 Bracelets could be with sparkles & pearls, solid beads, design printed bracelets, polkadot, stripes, cracked style, shimmer sparkle, etc. (see picture for examples) not all style options are pictured. 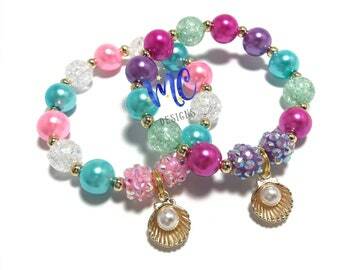 Includes 3 randomly picked solid chunky bracelets- no sparkles. 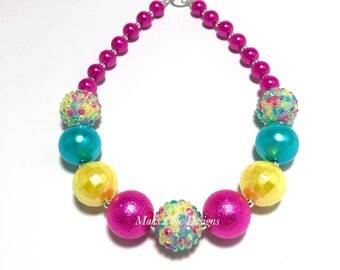 Can be solid pearl, solid printed beads, solid bubblegum beads, etc...There will be no sparkles in this option. 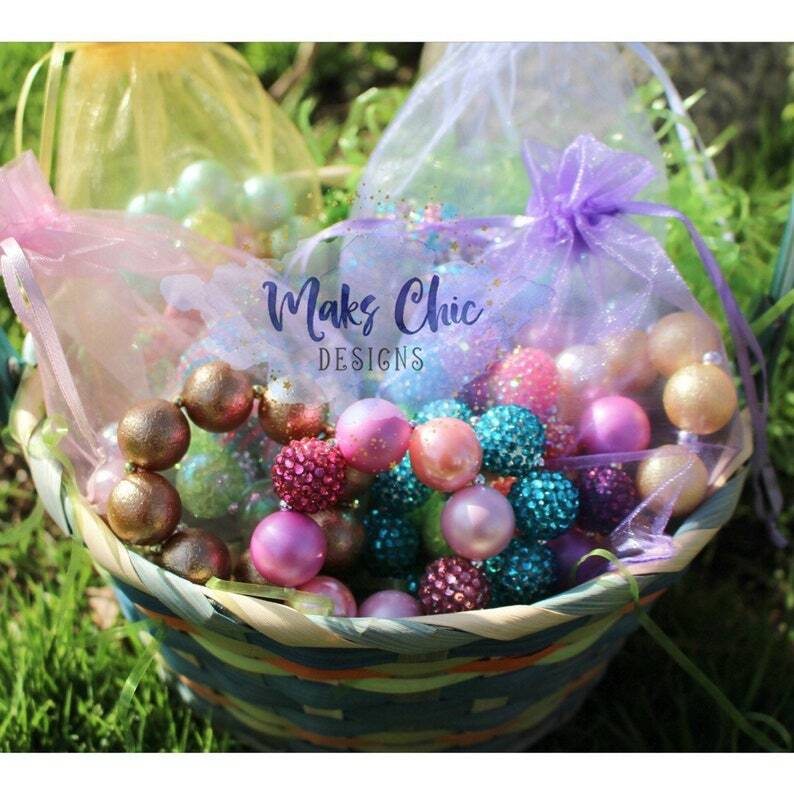 The Items will be packaged together and placed inside an organza jewelry gift bag and then carefully packaged to prevent any damage to the beads. I do my best to triple check that every item is sealed and secured. 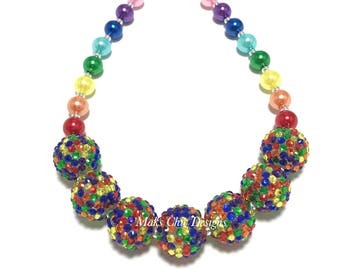 These chunky beaded bracelet/necklaces are considered choking and strangulation hazards to children under the age of 3. young children should not be left unattended while wearing this item. Yes! What a fun surprise! Thank you!